Meinl-Weston Tubas have been the benchmark of German craftsmanship for decades. For 7 generations, the Meinl-Langhammer family devoted their work to gain the best manufacturing experience, meticulous workmanship, continuous research and development as well as personal dedication to quality. Anton Meinl is the name representing technical leadership and flawless mechanical quality. He is the father of all basic designs at the company of Wenzel Meinl that result in the specific rich and projecting sound with the genuine Meinl-Weston core, a certain balance of openness and resistance to reach the incomparable ease of performance based on the efficiency of playing and control of sound and intonation. This offer of a wide range of models is so that all individual expectations of these musicians are always met and have even been exceeded by Meinl-Weston Tubas and Euphoniums. Joining his father’s enterprise in 1947, Anton Meinl continued his studies at night school and passed the examination for his master’s degree in 1952. 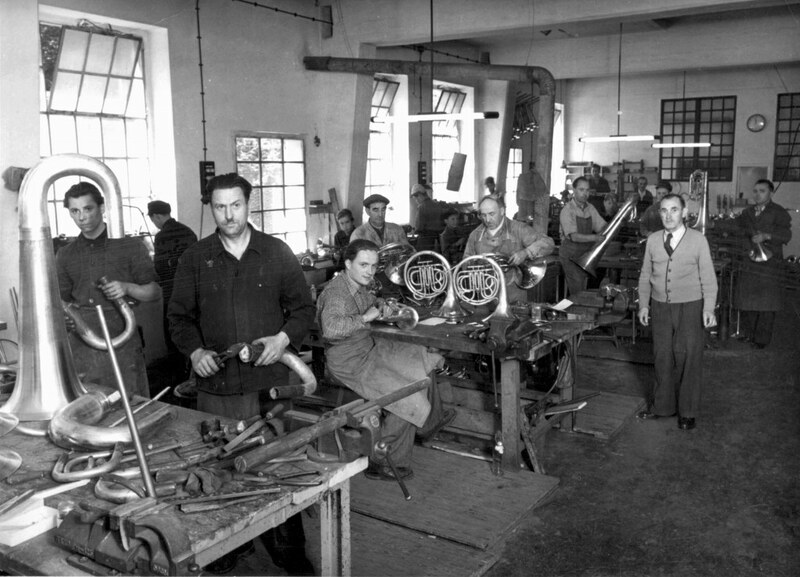 Picture from 1952 – today working in the music instrument manufacturer in Geretsried Wenzel Meinl 20 brass instrument makers – journeymen and masters building Brass Instruments with brand names Melton (for Europe) and Meinl Weston. A highly skilled craftsman and an excellent teacher, Anton Meinl has contributed much to the development and improvement of tubas. He was the first to use the hydraulic system to bend tubing for Tubas and the first to use steel ball action on rotary valve Tubas. His cutting patterns became famous for its projection and core. The configuration of slide tubings of the Meinl-Weston Tubas has contributed significantly to the efficiency and response of the instruments. Meinl’s son Gerhard, who took his law degree and finally the bar exam in Munich in 1983, joined the firm in 1984 after an apprenticeship as craftsman making musical instruments. Gerhard Meinl who is an educated trumpet player and became famous for establishing new artist relationship represents the seventh generation of his family to work in the music industry. Since 1986, Gerhard Meinl has been a board member of the German Musical Instrument Makers Association, and was an ITG board member between 1986 and 1993 and still is on the board of T.U.B.A. Gerhard Meinl is a founding member of Das Deutsche Tubaforum. 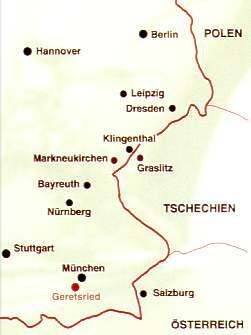 In 1991, along with investors, Gerhard Meinl founded the TA Musik group within the public company TA Triumph-Adler AG to take over Vogtländische Musikinstrumentenfabrik – B&S in the former East Germany from the state trust employing 200 skilled craftsmen. As part of its strategy of focusing on the Triumph-Adler Experts@Output corporate division, TA Triumph-Adler AG has sold TA Musik GmbH via a Management Buy Out to a group of managers formed by Gerhard A. Meinl. At the beginning of August 2001, the group acquired 100% of shares of TA Musik GmbH which continues to operate as a management holding company for this group of musical instrument manufacturers. As part of the acquisition, TA Musik GmbH changed its name into JA Musik GmbH and later became B&S Group. On December 5th, 2012, Buffet Group made the acquisition of B&S Group (B&S, Hans Hoyer, Melton Meinl Weston, J. Scherzer). Today the company trades as Buffet Crampon Deutschland GmbH and is a world leader in multi-instrument groups. Especially in the two home markets of Germany and France, we are the leader for step-up and professional brass instruments. By fulfilling the highest artistic demands, our instruments have found their way into the famous orchestras in the world. Thanks also to very strong and personal relationships with a variety of artists and musicians, we incorporate their professional knowledge and advice in our production process. So we reach an optimum response and intonation, coupled together with a complete full sound.